Compassion, peaceful solitude, and unbridled creativity are all associated with dignified, graceful whales. They are known for having very strong familial instincts and intelligence. 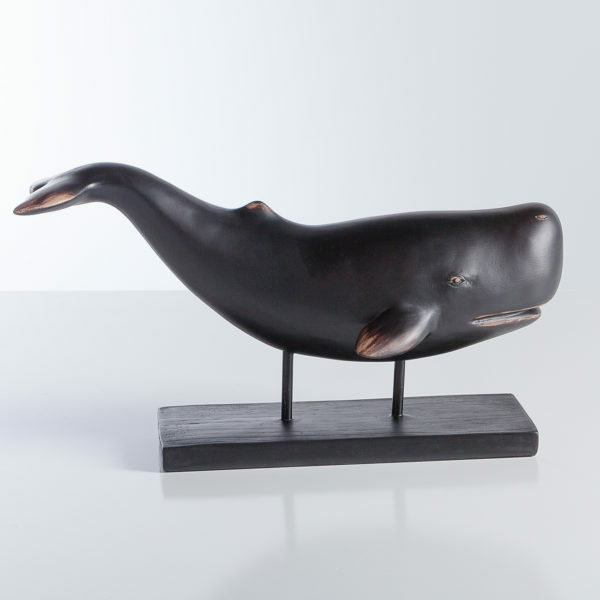 Whether your design sensibilities lean toward coastal chic or masculine, this whale offers a sense of calming energy to your home.